Haida Gwaii’s long, rugged coastline provides the perfect conditions for diverse marine ecosystems and abundant sea life that has supported the Haida Nation’s thriving culture for thousands of years. Today, unfortunately, those seemingly endless shorelines also act like a magnet for reams of plastic garbage and other ocean debris that float in along the Pacific Ocean’s strong currents—an issue that affects all other coastal Nations as well. 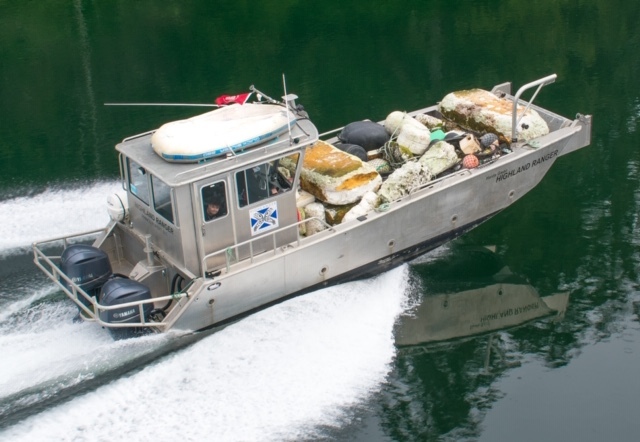 Over the years, residents of Haida Gwaii have worked hard to collect and dispose of this constant influx of shoreline debris. But this year, Haida leaders are looking to gather together a broad range of participants for a massive island-wide clean up. Chief Yovanovich is hoping to make it a bit of a challenge for other communities throughout the North and Central Coast as well. “Let’s make this a collective effort to keep the shorelines clean in all coastal communities,” he says.